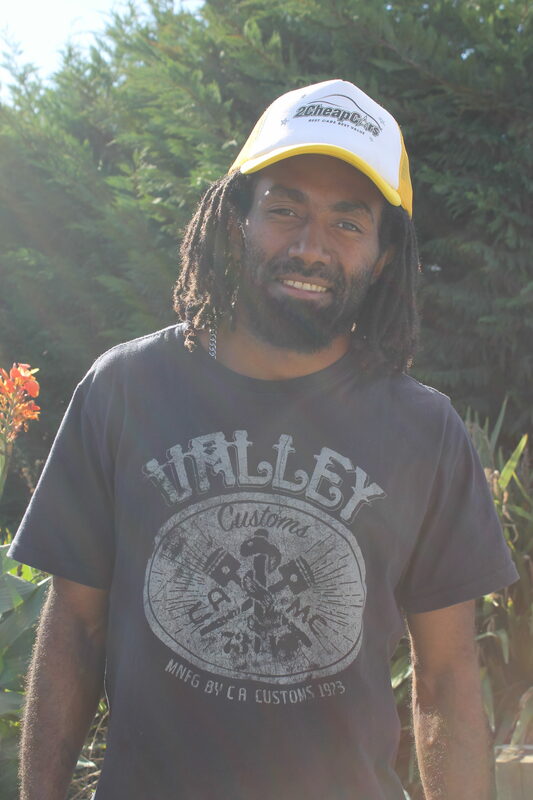 I was recruited by an agent in Vanuatu. The agents name is Michael Liu and he is a Ni-Van. Michael is also related to me, so that is how I got to know about the recruitment. He made two lists of boys to come to New Zealand to work for Mr Apple. He put my name down on the second list. He explained to me what the RSE scheme was all about. I didn’t get to join the scheme straight away because my passport was about to expire. So, I had to renew my passport and wait another year before coming to New Zealand. Then I got to know about Pick Hawke’s Bay (PHB) through Merilyne and Edwin Bani. When I was here in New Zealand, Merilyne told us about a shipment container and we said ‘ok, we want to put some stuff in the container with you guys’. During this time Merilyne would talk about PHB. Then Edwin Barni and his group from Kilhaven came to Thornton to work for Mr Apple. They came to do some thinning work and they also talked about PHB. I asked them how much money they make at the end of the season. When they told me, I thought, PHB is good – I can get a better deal with pay. So that made me want to change employers. I told Mr Apple that I won’t be coming back and then I handed in my notice. I remember Cathy and Anthony came to Vanuatu for recruitment in August. I was in Port Vila at that time and Merilyne told me to go see them at the Work Ready Office. Merilyne already told Cathy about me, that I worked in New Zealand for Mr Apple. I had to do an interview. In the interview, Cathy asked me how many times I had been to New Zealand, how many bins I did in a day and why I wanted to change companies. Then she told me straight away that I can join PHB and to get all my documents ready. This is how I came to work for PHB. My first year with PHB I got awarded a gift voucher for earning the highest wages in one week. No one has matched or earned more since. It was a bit scary working in New Zealand for the first time. The work was not too easy but after a week, things started to get better. My first job was thinning apples and then we went to the South Island to do wire lifting, bud rubbing and fruit thinning. We also did a bit of onions. When I came to PHB, I thinned stone fruit and did some harvest work, also did a little bit of pumpkin and corn work. The stone fruit is not as hard as the apple work. It was the first time for everything in this country. The first time to see and experience the Kiwi lifestyle and the first time to meet Kiwi people. You have to learn to adapt very fast. Everything is all so new. I already had an idea of what New Zealand would be like because the agent told us, so we knew what to expect. At first it was hard talking to people. Maybe it’s the English, maybe I’m afraid of people laughing at me because of my English. When we first came to New Zealand, people around here were not used to seeing black people, it was kind of a bit of racist that time. You just walk around town and then a car will pass by and they wind the windows down and show you the finger, that’s how it was. It doesn’t happen now because people here are more used to us, but back then it was quite bad – this was around 2007-2009. I had to get used to the road limits here, there are speed limits everywhere, but back at home we just drive fast or slow. I had to get used to the road rules. Roads are better here in New Zealand. People mind their own business here. In Vanuatu people know everything about you, they know your business. I wanted to buy a piece of land and then a small business, something to get income, this was my plan when I first started. I got the land, but there are a few legal things to settle. 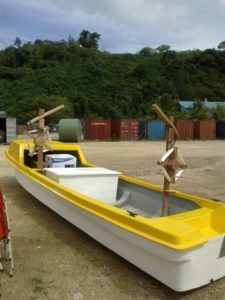 For a small business, I bought a boat for fishing and to use as transport. I have a fisherman looking after my boat. My fisherman takes two boys with him to fish, then they sell the fish in the islands, not in Port Vila. The market in Ambae is not as good as Port Vila, that is why I get my fisherman to go back to the island to sell what he catches. People know he’s a fisherman, so when they hear the boat coming back, they know there’s fish. 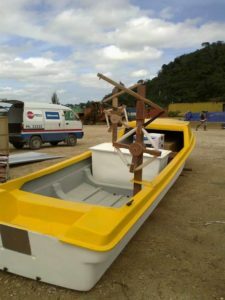 This time when I go back, I plan on buying a van, a new one and use it to taxi tourists because the new wharf is opening in Port Vila and there is going to be about three ships a week. I will find someone to drive it and then I will see how it goes for a few months, maybe I will drive it. I pay for a business licence, every year I renew it, this allows me to operate my fishing business. That will be the same for the van. I will keep my funds running and then I will use that money to build a house on the land that I have secured. This house will be for my mum and dad, it will be their house not mine. It has changed me a lot. I get to help my family every season. I get to provide seafood to my island from the boat I purchased. The work and friends, I’ve made a lot of friends in Waipak and in Napier. I keep in touch with them every time I return to New Zealand. I enjoy the work experience. New Zealand is a beautiful place. The work for PHB, I’d like to thank the company for accepting me so I can come here to work.